(3) focus on a particular word family. 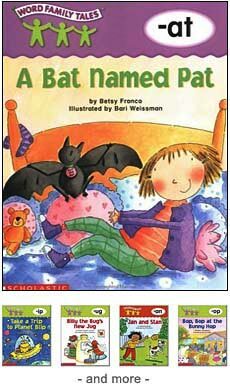 The following titles are great for this task and are written especially for young ones in Kindergarten-1st grade. We've actually found that mixing the series is best, as it seems to help prevent the "I've already read this" attitude that children sometimes get when looking at multiple books from the same series. We like all three series in our word family list of books below. We hope you do too. Created by a former literacy coach, the Sounds like Reading series is a step-by-step program that's great for teaching long and short vowel sounds to emergent readers using word families, repetition, rhyme, and phonics. Paired with Miskimins' vibrant cartoon illustrations, they're a hit! 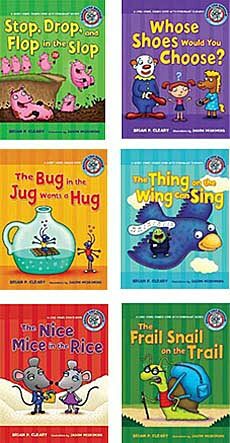 This fun series combines phonics-based text with silly, kid-friendly stories to create titles that are perfect for helping children learn to read. There are fold-out flaps on some of the pages so readers can try to predict what might happen next. Each volume also has a section at the back with a phonic breakdown of the words in the story. A series of funny read-aloud stories, each designed around a specific family. 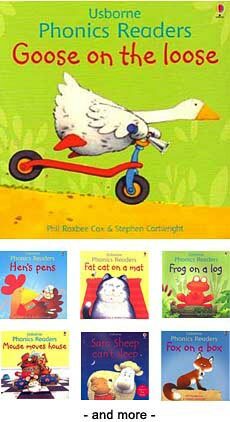 The illustrations and storylines are charming and easy to follow, and each one has a 'Reading Tips' section in the back that provides additional ways to use the story to help early readers. Published by Scholastic. A Level 2 book in the Now I'm Reading series. Introduces long-vowel sounds and related sight words. 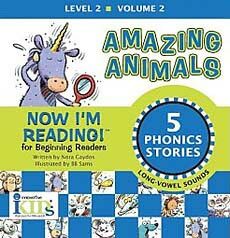 Includes two mini-books for each long vowel sound so that early readers can practice reading over and over to build their confidence. Of course any children's book can be used when teaching long and short vowel sounds. Simply emphasize the sounds in question. And keep your eye out for books that seem to emphasize certain sounds. For example, the popular book Willy the Wimp by Anthony Brown is a fun story and can be great to use when teaching the short i sound.